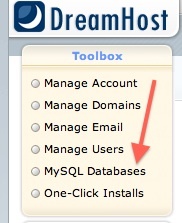 Login to your Dreamhost account and go to your MySQL Databases. In your MySQL Databases, you will see a list of your databases created. Scroll down further where you will see databases and a column with users with access. 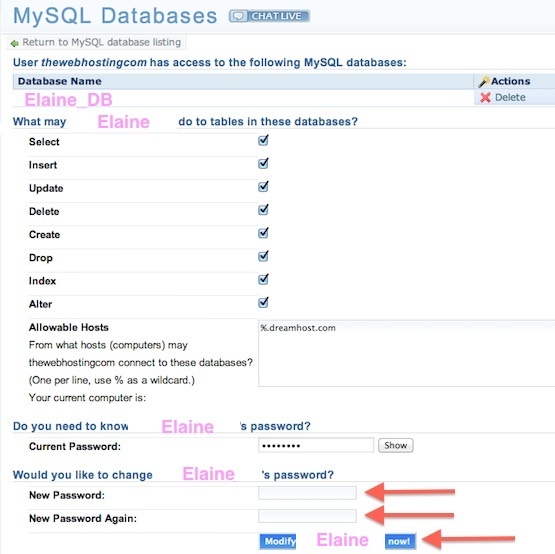 You can change your phpMyAdmin MySQL password in this screen. At the bottom you can reset your password to anything you want. The password change is complete. You will have to wait about 10 minutes for the changes to replicate through. So try logging into your phpMyAdmin account in about 10 minutes.